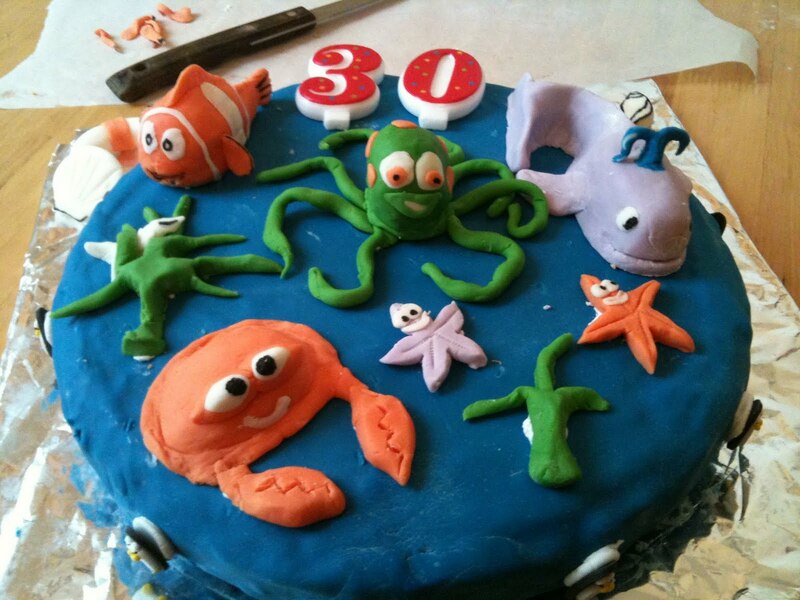 bright side of the road: A Marine Biologists Birthday Cake! A Marine Biologists Birthday Cake! We have a friend who recently had her 30th birthday. A couple of the girls and I got together to make her a special cake for the big day! We plotted for some time and threw ideas back and forth about what we could possibly do. Neither of us had much experience at all making fancy cakes and so it was going to be a challenge, but fun nonetheless!! Thanks to Robbie for putting his faith in us, after finding out he was going to splash out for a 'professional' cake the pressure was on! Thankfully we had a blast making a cake that the birthday girl, Karen, absolutely loved. We found out from Robbie that Karen's favourite cake was carrot, easy enough! After a little bit of research we settled on a recipe from AllRecipes - a fine Carrot and Walnut Cake! Without further ado, here is our go at a fancy birthday cake!! other decorations - candy penguins! 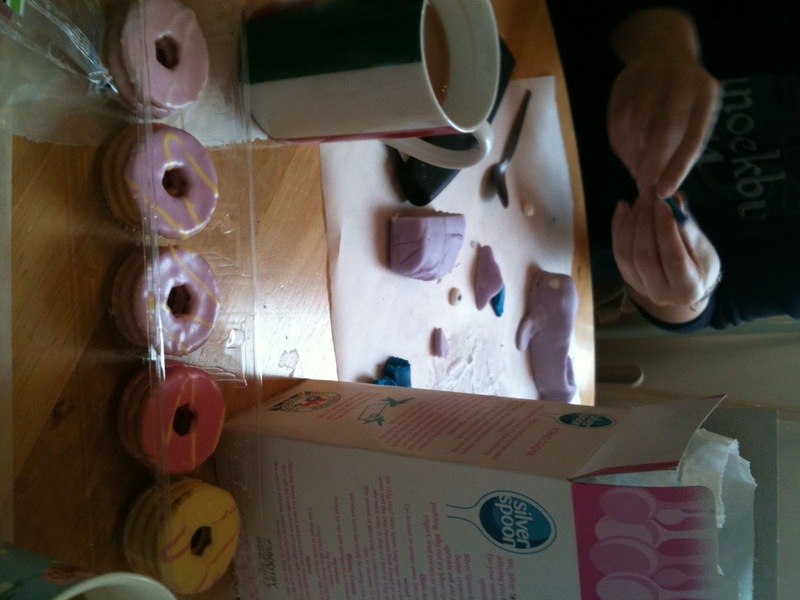 Tea and biscuits to snack on whilst you make your figurines!! 1) Preheat oven to 350 degrees F (175 degrees C). Grease and flour one 9 or 10 inch tube pan. 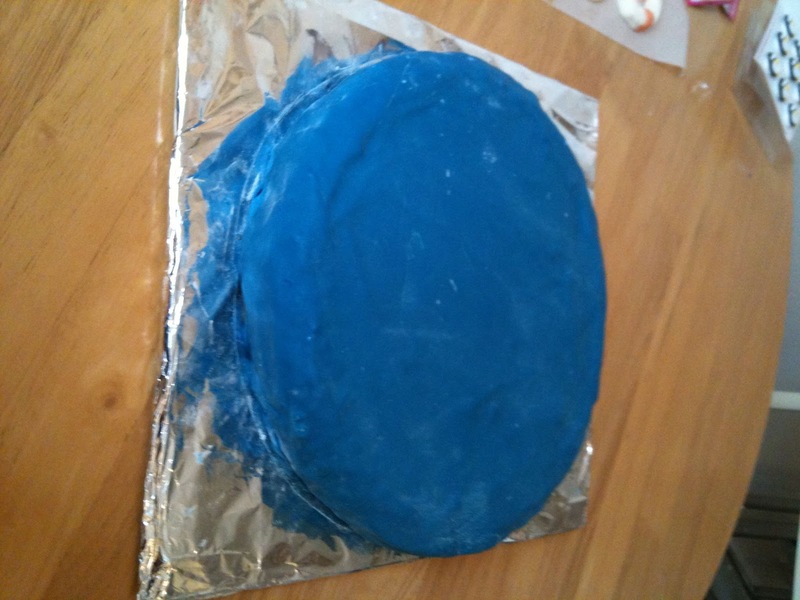 We used a larger 12" round pan, originally because we didn't think it would fit in the 8" one we had greased, but then we after playing with the icing we realised we needed a larger surface area to work with! 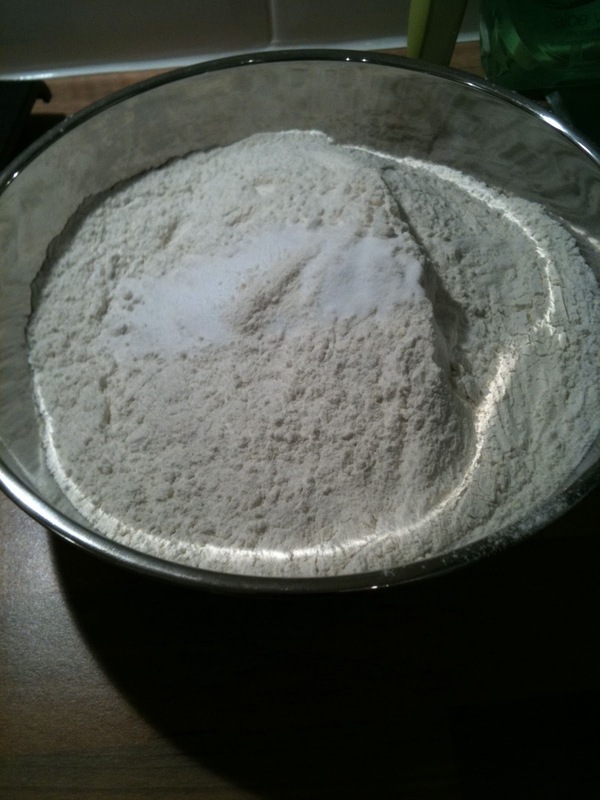 2) Sift the flour, baking soda, and baking powder together and set aside. (Side note: Anita had loads of self-raising flour she wanted to use, so instead of using flour and baking powder, we used the self-raising on it's own). 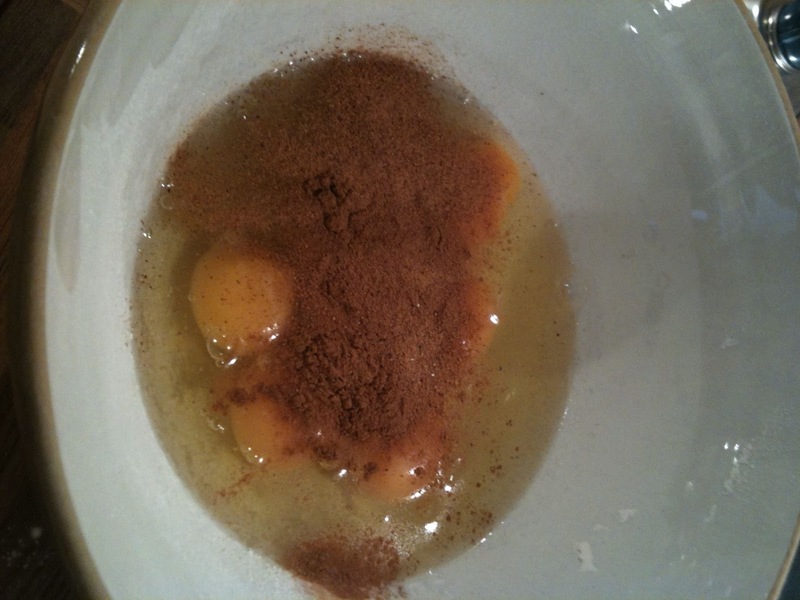 3) Beat the eggs with the ground cinnamon, ground nutmeg, and ground cardamom together for 5 minutes. 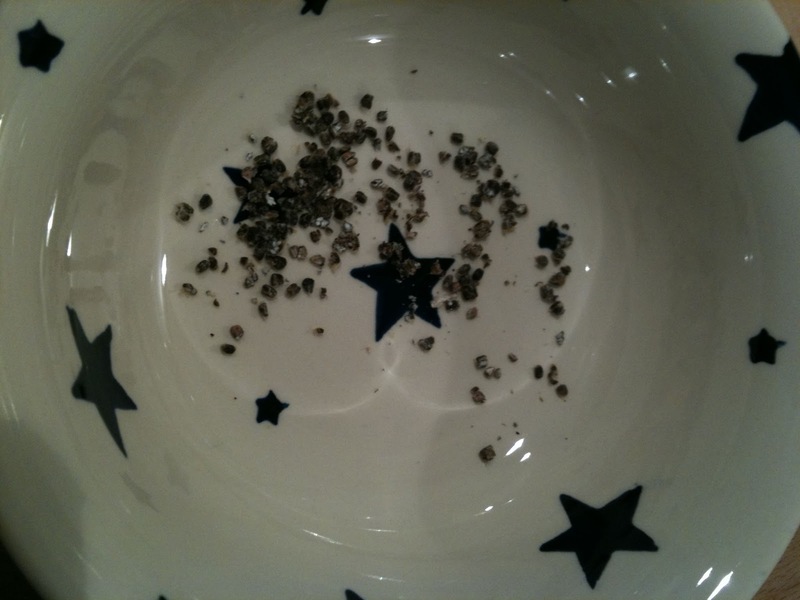 At this point realising we only had cardamom pods, a little crushing work was needed! 5) Alternately add the flour mixture and the milk, 1 tablespoon at a time, to the egg mixture. With a spoon stir in the carrots and the walnuts. Pour batter into prepared pan. 6) Bake at 350 degrees F (175 degrees C) for 1 hour. 7) Whilst your cake is baking, and cooling drink tea, eat biscuits and make your figurines! Ideally we would have made these the day before to give them more time to dry out, but it still worked out! 8) Pictures of us making the figurines and sticking everything onto the cake. First we cut the round top off the cake to even it out, then flipped it upside down on the tray. 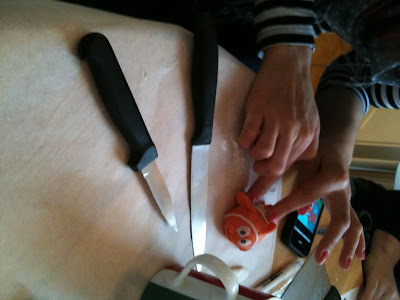 Then we covered the cake in the royal icing first to even it out and to the rolled icing would stick. Then we 'glued' everything onto the cake using the royal icing. 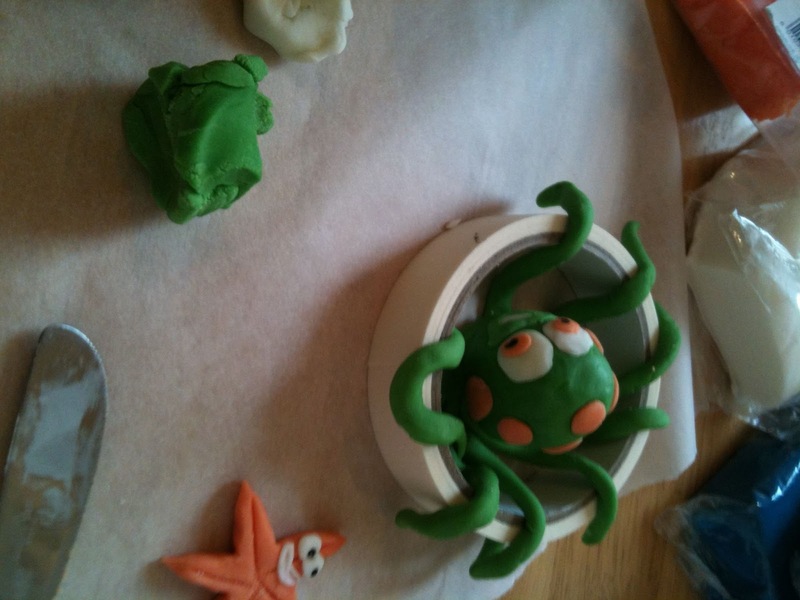 A starfish and the shaping of the octopus. 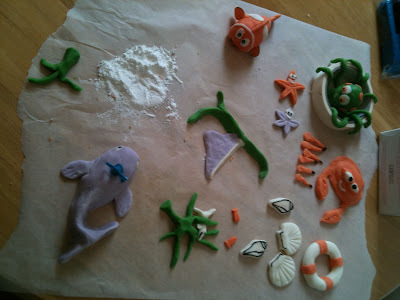 The construction of the whale and our biscuits (lovely!)! Under the sea! Under the sea!! The birthday girls' reaction and to our luck the cake complimented her outfit perfectly!!! A job well done ladies!! !